Are We To Keep the Feast Days? First of all, we need to realize that there are two different "Laws" that are talked about in the Bible. One "Law" was the "Moral Law" (10 Commandments) that was in existence "before sin" entered the picture (Genesis 2:3; Romans 4:15; 1 John 3:4) . The other "Law" was the "Ceremonial Law" which was instituted "because of sin" . These 2 Laws are totally different and distinct from one another. The Moral Law is the transcript of God's Character - it is as eternal as He is! It reveals His personality and unchangeable nature! This Law was written by God Himself on tables of stone and was placed "Inside" the Ark of the Covenant - on top of which the shekinah glory (the presence of God) sat. In other words, this Law was designed to last forever (Psalm 119) and it forms the "foundation" of the Throne of God! The Ceremonial Law was added by God Himself as a "lesson book" or "object lesson" so-to-speak, to teach mankind about the Plan of Redemption. 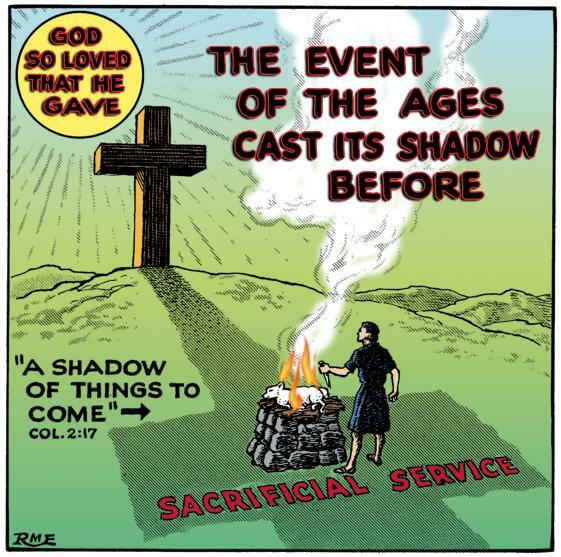 It consists of rituals and ceremonies that were types & shadows of a future event (Hebrews 10:1). This Law was written by the hand of Moses on parchment and was placed in a pocket on the side of the Ark of the Covenant (Deut. 31:26). In other words, this law was designed to last long enough to serve its purpose, but it is perishable (Hebrews 9) and can only sit by the side of the Throne of God. Most people don't have trouble understanding that. The problem comes in when these two Laws are broken down into the "fine print" so-to-speak. The "fine print" of these two Laws were called "Statutes, Judgments, and Ordinances." The "fine print" of the Ceremonial Law included not only the sacrifices themselves, but all other "statutes" and "ordinances" that applied to the "types" and "shadows" of things to come. In this law were all the ceremonial washings, the various rituals of the sanctuary service, the ordinances of meat and drink offerings, the rite of circumcision, and the feast days. 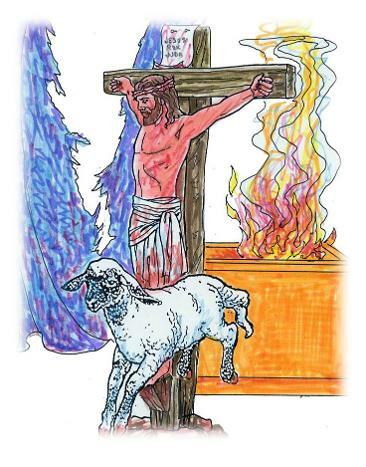 All these things were types and symbols pointing to something else - and the need for the literal observance of these things was fulfilled by the death of the Lamb of God on Calvary. That doesn't mean that they lost their meaning - they still revealed how God had led His people in the past, but once the Ultimate Sacrifice had been offered, their literal observance was no longer necessary. Today, we can look back to the life, death, and resurrection of Christ. 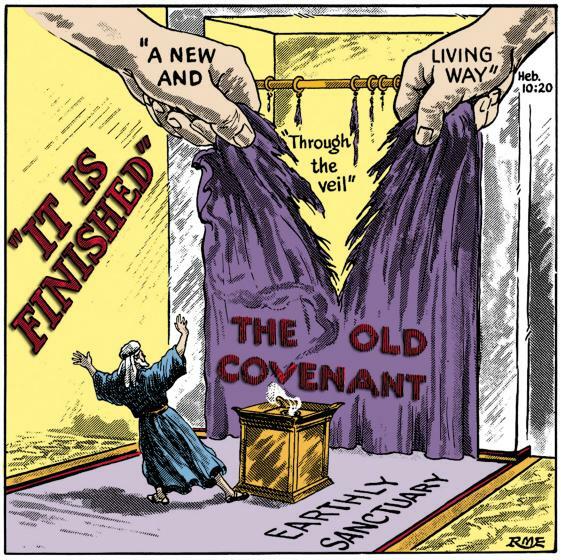 Col 2:14-17 Blotting out the handwriting of ordinances that was against us, which was contrary to us, and took it out of the way, nailing it to his cross; And having spoiled principalities and powers, he made a shew of them openly, triumphing over them in it. Let no man therefore judge you in meat, or in drink, or in respect of an holyday, or of the new moon, or of the sabbath days: Which are a shadow of things to come; but the body is of Christ. Deut. 31:26 Take this book of the law, and put it in the side of the ark of the covenant of the LORD your God, that it may be there for a witness against thee. Jesus did not seem to put much stock in the feasts because that system was coming to an end and He was establishing a new system. The feasts all point to Christ. The Passover, Unleavened Bread, and First Fruits all pointed to His sacrifice; the Feast of Weeks, Trumpets, Day of Atonement, and Feast of Tabernacles all point to His priesthood. Jesus was the fulfillment of ALL their types and shadows. The feast days fall under this category. All the ceremonies of the Jewish law were prophetic, and typical! The statutes and judgements that are still in force and are to be observed, are the part of the “torah” that define and explain the 10 commandments, the "fine print" so to speak. There were other statutes that were symbolic of the covenant with God, that were "types," object lessons, that had a spiritual meaning. An example would be circumcision. The early church did not consider the ordinances of the Mosaic law a salvational issue, which must be referring to feasts and other ceremonies because sacrifices were considered “a denial of Christ”. If “torah” always means the first five books of the Bible, and this is how it is proved that the feast days are still binding; How did Abraham keep the feast days, when they were not even given until more than 400 years later? Obviously the word “torah” can mean different things depending on the context of the verses! H4150 mo‛ed - properly an appointment, that is, a fixed time or season; specifically a festival; conventionally a year; by implication, an assembly (as convened for a definite purpose); technically the congregation; by extension, the place of meeting; also a signal (as appointed beforehand): - appointed (sign, time), (place of, solemn) assembly, congregation, (set, solemn) feast, (appointed, due) season, solemn (-ity), synagogue, (set) time (appointed). Passover - Ex. 12:14, Unleavened Bread – Ex. 23:15, Firstfruits – Ex. 23:16, Weeks – Ex. 34:22, Tabernacles – Deut. 16:13, etc. The word “chag” literally refers to the sacrificial victim (Ex. 23:18). This implies that the feasts were extensions of the sacrificial animals and can not exist without the sacrifices! It is also a very significant fact that the Christians were not destroyed in the destruction of Jerusalem. Both the first siege and the second siege and destruction happened at the time of two of the feasts. The Jews were gathered to observe the feasts, the Christians were not. The Jews were destroyed but no Christians were killed. The destruction of Jerusalem is a portrayal of what will happen at the end of time!! Don't take me wrong, the Feast Days are very significant. They should be studied in depth, to learn the spiritual significance of them and what they were pointing toward. But to insist that they must literally be observed now, after the cross, is a denial (maybe unknowingly, but a denial just the same) of the Messiah, Jesus Christ, the Antitype of all those symbols. If you follow a shadow of a tree across the yard to the tree itself - the shadow does not pick up and continue on from the other side of the tree. It ends at the tree! The tree is the substance of the shadow. 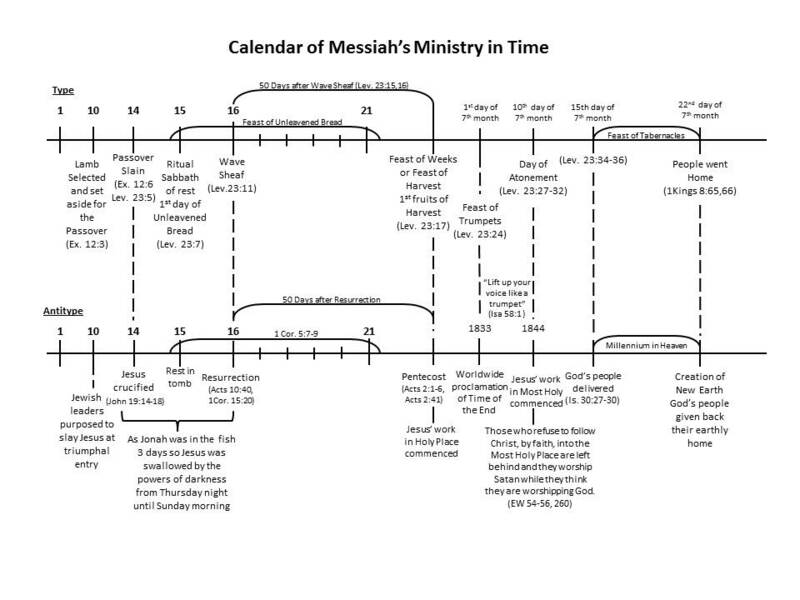 So with the ceremonial law (including the feast days). 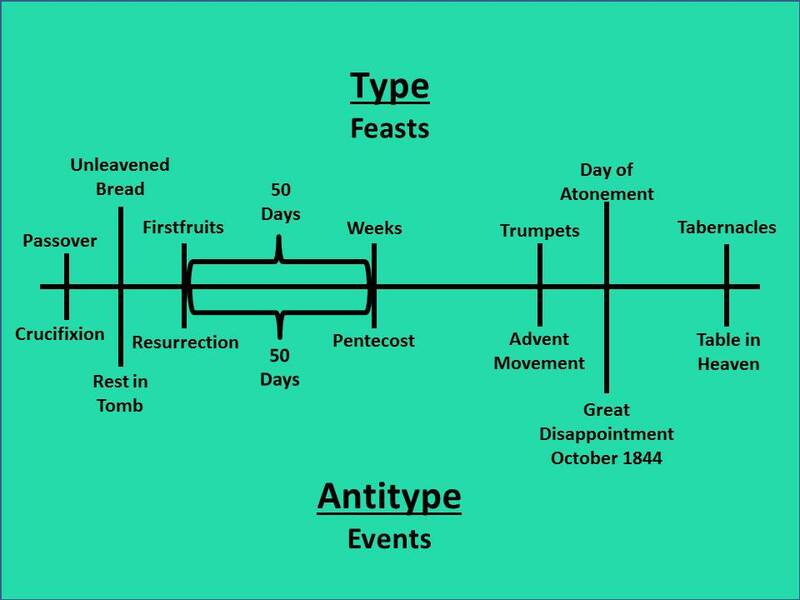 From what I have seen in people that I know personally, who are being deceived into observance of the feast days; there is a sequence of steps that they take - a sort of domino effect. #3 After a while, they begin to question some of our foundational beliefs, and because sister White says so many things that do not agree with their ideas, they finally do away with her all together. #4 At some point, they start questioning some of the statements in the Bible, and because they cannot make some statements fit, they abandon the KJV and start using other versions to back up their doctrines; and start toying with the idea of a “lunar Sabbath." They begin to start questioning what we call God, and this leads them on to start using the Hebrew terms for God (which is not bad, in itself - but then they get into this "Holy Name Movement" which rejects the name God and Jesus as of pagan origin), and they begin to believe that you will be lost if you refer to the Saviour by the name Jesus. #5 The lunar Sabbath doctrine leads them to abandon the Seventh-day Sabbath and most of the other pillars of the Adventist church. They tend to become very Hebrew and Jewish in their mindset. Their religion becomes more and more of a "hollow formalism." #6 Finally they reject the scriptures all together, and if they remain religious at all, it is a religion based on feelings and emotions. And Satan smiles, because he has been successful!